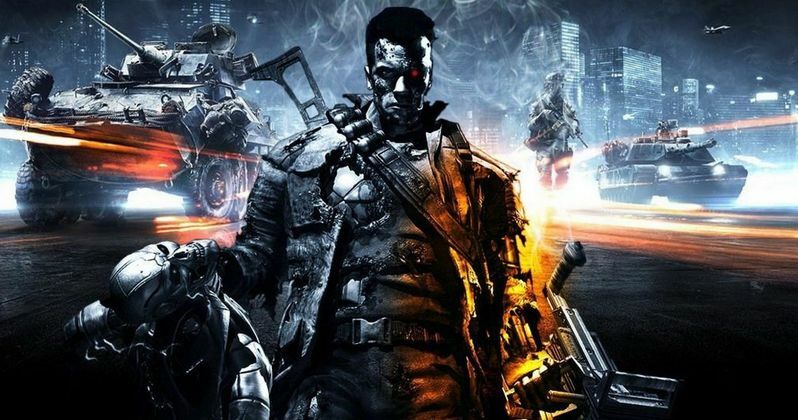 Arnold Schwarzenegger recently sat down with the fan site TheArnoldFans.com at the Arnold Sports Festival in Columbus, Ohio and shed some light on what to expect from the script of the upcoming sci-fi action sequel Terminator: Genesis. He also revealed some of the shooting locations and confirmed the production dates. Here is what he said when asked about the film. "The Terminator. You're right. We start filming in the middle or in the end of April and it will be a four or four-and-a-half month long shoot. We will be filming it in New Orleans with some of it in San Francisco and maybe a little of it in LA but most of it will be done in New Orleans. I'm really looking forward to that because as you know, the last time when they did The Terminator, it was when I was Governor and so I couldn't be in that movie but now I'm back again and they are very excited about having me in the film. And David Ellison, who has produced all the big movies lately, has plenty of money to do it well. He's in partnership with Paramount Pictures who are going to release the movie through their distribution. I'm really looking forward to that and it's going to come out on July 4th weekend in 2015. The movie preparation is going well. The script is fantastic so I'm really looking forward to this film."